Finance - Welcome to Our Generation USA! Click here for a List of Financial Categories. Finance is a field that deals with the study of investments. It includes the dynamics of assets and liabilities over time under conditions of different degrees of uncertainty and risk. Finance can also be defined as the science of money management. Finance aims to price assets based on their risk level and their expected rate of return. Finance can be broken into three sub-categories: public finance, corporate finance and personal finance. Corporate finance deals with the sources funding and the capital structure of corporations, the actions that managers take to increase the value of the firm to the shareholders, and the tools and analysis used to allocate financial resources. Although it is in principle different from managerial finance which studies the financial management of all firms, rather than corporations alone, the main concepts in the study of corporate finance are applicable to the financial problems of all kinds of firms. Corporate finance generally involves balancing risk and profitability, while attempting to maximize an entity's assets, net incoming cash flow and the value of its stock, and generically entails three primary areas of capital resource allocation. In the first, "capital budgeting", management must choose which "projects" (if any) to undertake. 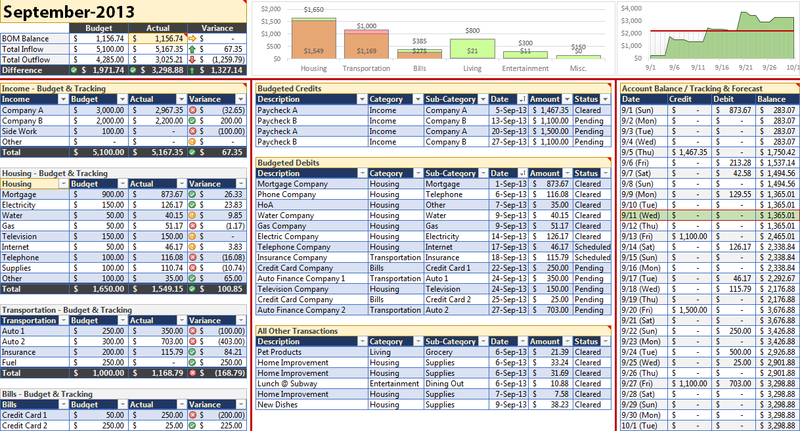 The discipline of capital budgeting may employ standard business valuation techniques or even extend to real options valuation; see Financial modeling. The second, "sources of capital" relates to how these investments are to be funded: investment capital can be provided through different sources, such as by shareholders, in the form of equity (privately or via an initial public offering), creditors, often in the form of bonds, and the firm's operations (cash flow). Short-term funding or working capital is mostly provided by banks extending a line of credit. The balance between these elements forms the company's capital structure. The third, "the dividend policy", requires management to determine whether any unappropriated profit (excess cash) is to be retained for future investment / operational requirements, or instead to be distributed to shareholders, and if so, in what form. Short term financial management is often termed "working capital management", and relates to cash-, inventory- and debtors management. Corporate finance also includes within its scope business valuation, stock investing, or investment management. An investment is an acquisition of an asset in the hope that it will maintain or increase its value over time that will in hope give back a higher rate of return when it comes to disbursing dividends. Financial management overlaps with the financial function of the accounting profession. However, financial accounting is the reporting of historical financial information, while financial management is concerned with the allocation of capital resources to increase a firm's value to the shareholders and increase their rate of return on the investments. Financial risk management, an element of corporate finance, is the practice of creating and protecting economic value in a firm by using financial instruments to manage exposure to risk, particularly credit risk and market risk. (Other risk types include foreign exchange, shape, volatility, sector, liquidity, inflation risks, etc.) It focuses on when and how to hedge using financial instruments; in this sense it overlaps with financial engineering. Similar to general risk management, financial risk management requires identifying its sources, measuring it (see: Risk measure#Examples), and formulating plans to address these, and can be qualitative and quantitative. In the banking sector worldwide, the Basel Accords are generally adopted by internationally active banks for tracking, reporting and exposing operational, credit and market risks. An entity whose income exceeds its expenditure can lend or invest the excess income to help that excess income produce more income in the future. Though on the other hand, an entity whose income is less than its expenditure can raise capital by borrowing or selling equity claims, decreasing its expenses, or increasing its income. The lender can find a borrower—a financial intermediary such as a bank—or buy notes or bonds (corporate bonds, government bonds, or mutual bonds) in the bond market. The lender receives interest, the borrower pays a higher interest than the lender receives, and the financial intermediary earns the difference for arranging the loan. A bank aggregates the activities of many borrowers and lenders. A bank accepts deposits from lenders, on which it pays interest. The bank then lends these deposits to borrowers. Banks allow borrowers and lenders, of different sizes, to coordinate their activity. In corporate finance, a company's capital structure is the total mix of financing methods it uses to raise funds. One method is debt financing, which includes bank loans and bond sales. Another method is equity financing – the sale of stock by a company to investors, the original shareholders (they own a portion of the business) of a share. Ownership of a share gives the shareholder certain contractual rights and powers, which typically include the right to receive declared dividends and to vote the proxy on important matters (e.g., board elections). The owners of both bonds (either government bonds or corporate bonds) and stock (whether its preferred stock or common stock), may be institutional investors – financial institutions such as investment banks and pension funds or private individuals, called private investors or retail investors. Financial economics is the branch of economics studying the interrelation of financial variables, such as prices, interest rates and shares, as opposed to goods and services. Financial economics concentrates on influences of real economic variables on financial ones, in contrast to pure finance. It centres on managing risk in the context of the financial markets, and the resultant economic and financial models. It essentially explores how rational investors would apply risk and return to the problem of an investment policy. Here, the twin assumptions of rationality and market efficiency lead to modern portfolio theory (the CAPM), and to the Black–Scholes theory for option valuation; it further studies phenomena and models where these assumptions do not hold, or are extended. "Financial economics", at least formally, also considers investment under "certainty" (Fisher separation theorem, "theory of investment value", Modigliani–Miller theorem) and hence also contributes to corporate finance theory. Financial econometrics is the branch of financial economics that uses econometric techniques to parameterize the relationships suggested. Although closely related, the disciplines of economics and finance are distinct. The “economy” is a social institution that organizes a society’s production, distribution, and consumption of goods and services, all of which must be financed. Financial mathematics is a field of applied mathematics, concerned with financial markets. The subject has a close relationship with the discipline of financial economics, which is concerned with much of the underlying theory that is involved in financial mathematics. Generally, mathematical finance will derive, and extend, the mathematical or numerical models suggested by financial economics. In terms of practice, mathematical finance also overlaps heavily with the field of computational finance (also known as financial engineering). Arguably, these are largely synonymous, although the latter focuses on application, while the former focuses on modelling and derivation (see: Quantitative analyst). The field is largely focused on the modelling of derivatives, although other important sub-fields include insurance mathematics and quantitative portfolio problems. See later herein for "Outline of finance: Mathematical tools" and "Outline of finance: Derivatives pricing". Experimental finance aims to establish different market settings and environments to observe experimentally and provide a lens through which science can analyze agents' behavior and the resulting characteristics of trading flows, information diffusion and aggregation, price setting mechanisms, and returns processes. Researchers in experimental finance can study to what extent existing financial economics theory makes valid predictions and therefore prove them, and attempt to discover new principles on which such theory can be extended and be applied to future financial decisions. Research may proceed by conducting trading simulations or by establishing and studying the behavior, and the way that these people act or react, of people in artificial competitive market-like settings. ​Behavioral finance studies how the psychology of investors or managers affects financial decisions and markets when making a decision that can impact either negatively or positively on one of their areas. Behavioral finance has grown over the last few decades to become central and very important to finance. A strand of behavioral finance has been dubbed quantitative behavioral finance, which uses mathematical and statistical methodology to understand behavioral biases in conjunction with valuation. Some of these endeavors has been led by Gunduz Caginalp (Professor of Mathematics and Editor of Journal of Behavioral Finance during 2001-2004) and collaborators including Vernon Smith (2002 Nobel Laureate in Economics), David Porter, Don Balenovich, Vladimira Ilieva, Ahmet Duran). Studies by Jeff Madura, Ray Sturm and others have demonstrated significant behavioral effects in stocks and exchange traded funds. Among other topics, quantitative behavioral finance studies behavioral effects together with the non-classical assumption of the finiteness of assets. ​Wharton Finance Knowledge Project – aimed to offer free access to finance knowledge for students, teachers, and self-learners. "Financial management refers to the effective and efficient management of money and it is also process of planning, controlling,leading, directing of a firm's financial resources." Fixed assets refers to assets that cannot be converted into cash easily, like plant, property, equipment etc. A current asset is an item on an entity's balance sheet that is either cash, a cash equivalent, or which can be converted into cash within one year. It is not easy for start ups to forecast the current asset, because there are changes in receivables and payables. Managerial finance, a branch of finance concerned with the managerial significance of financial techniques. Financial Management Service, a bureau of the U.S. Treasury which provides financial services for the government. The primary goal of corporate finance is to maximize or increase shareholder value. Although it is in principle different from managerial finance which studies the financial management of all firms, rather than corporations alone, the main concepts in the study of corporate finance are applicable to the financial problems of all kinds of firms. Capital budgeting is concerned with the setting of criteria about which value-adding projects should receive investment funding, and whether to finance that investment with equity or debt capital. Working capital management is the management of the company's monetary funds that deal with the short-term operating balance of current assets and current liabilities; the focus here is on managing cash, inventories, and short-term borrowing and lending (such as the terms on credit extended to customers). The terms corporate finance and corporate financier are also associated with investment banking. The typical role of an investment bank is to evaluate the company's financial needs and raise the appropriate type of capital that best fits those needs. Thus, the terms "corporate finance" and "corporate financier" may be associated with transactions in which capital is raised in order to create, develop, grow or acquire businesses. Recent legal and regulatory developments in the U.S. will likely alter the makeup of the group of arrangers and financiers willing to arrange and provide financing for certain highly leveraged transactions. The primary goal of financial management is to maximize or to continually increase shareholder value. Maximizing shareholder value requires managers to be able to balance capital funding between investments in projects that increase the firm's long term profitability and sustainability, along with paying excess cash in the form of dividends to shareholders. Managers of growth companies (i.e. firms that earn high rates of return on invested capital) will use most of the firm's capital resources and surplus cash on investments and projects so the company can continue to expand its business operations into the future. When companies reach maturity levels within their industry (i.e. companies that earn approximately average or lower returns on invested capital), managers of these companies will use surplus cash to payout dividends to shareholders. Managers must do an analysis to determine the appropriate allocation of the firm's capital resources and cash surplus between projects and payouts of dividends to shareholders, as well as paying back creditor related debt. Corporate management seeks to maximize the value of the firm by investing in projects which yield a positive net present value when valued using an appropriate discount rate in consideration of risk. These projects must also be financed appropriately. If no growth is possible by the company and excess cash surplus is not needed to the firm, then financial theory suggests that management should return some or all of the excess cash to shareholders (i.e., distribution via dividends). Capital budgeting is also concerned with the setting of criteria about which projects should receive investment funding to increase the value of the firm, and whether to finance that investment with equity or debt capital. Investments should be made on the basis of value-added to the future of the corporation. Projects that increase a firm's value may include a wide variety of different types of investments, including but not limited to, expansion policies, or mergers and acquisitions. When no growth or expansion is possible by a corporation and excess cash surplus exists and is not needed, then management is expected to pay out some or all of those surplus earnings in the form of cash dividends or to repurchase the company's stock through a share buyback program. ​Achieving the goals of corporate finance requires that any corporate investment be financed appropriately. The sources of financing are, generically, capital self-generated by the firm and capital from external funders, obtained by issuing new debt and equity (and hybrid- or convertible securities). Much of the theory here, falls under the umbrella of the Trade-Off Theory in which firms are assumed to trade-off the tax benefits of debt with the bankruptcy costs of debt when choosing how to allocate the company's resources. However economists have developed a set of alternative theories about how managers allocate a corporation's finances. One of the main alternative theories of how firms manage their capital funds is the Pecking Order Theory (Stewart Myers), which suggests that firms avoid external financing while they have internal financing available and avoid new equity financing while they can engage in new debt financing at reasonably low interest rates. Also, Capital structure substitution theory hypothesizes that management manipulates the capital structure such that earnings per share (EPS) are maximized. An emerging area in finance theory is right-financing whereby investment banks and corporations can enhance investment return and company value over time by determining the right investment objectives, policy framework, institutional structure, source of financing (debt or equity) and expenditure framework within a given economy and under given market conditions. ​One of the more recent innovations in this area from a theoretical point of view is the Market timing hypothesis. This hypothesis, inspired in the behavioral finance literature, states that firms look for the cheaper type of financing regardless of their current levels of internal resources, debt and equity. Corporations may rely on borrowed funds (debt capital or credit) as sources of investment to sustain ongoing business operations or to fund future growth. Debt comes in several forms, such as through bank loans, notes payable, or bonds issued to the public. Bonds require the corporations to make regular interest payments (interest expenses) on the borrowed capital until the debt reaches its maturity date, therein the firm must pay back the obligation in full. Debt payments can also be made in the form of sinking fund provisions, whereby the corporation pays annual installments of the borrowed debt above regular interest charges. Corporations that issue callable bonds are entitled to pay back the obligation in full whenever the company feels it is in their best interest to pay off the debt payments. If interest expenses cannot be made by the corporation through cash payments, the firm may also use collateral assets as a form of repaying their debt obligations (or through the process of liquidation). Corporations can alternatively sell shares of the company to investors to raise capital. Investors, or shareholders, expect that there will be an upward trend in value of the company (or appreciate in value) over time to make their investment a profitable purchase. Shareholder value is increased when corporations invest equity capital and other funds into projects (or investments) that earn a positive rate of return for the owners. Investors prefer to buy shares of stock in companies that will consistently earn a positive rate of return on capital in the future, thus increasing the market value of the stock of that corporation. Shareholder value may also be increased when corporations payout excess cash surplus (funds from retained earnings that are not needed for business) in the form of dividends. Preferred stock is an equity security which may have any combination of features not possessed by common stock including properties of both an equity and a debt instrument, and is generally considered a hybrid instrument. Preferreds are senior (i.e. higher ranking) to common stock, but subordinate to bonds in terms of claim (or rights to their share of the assets of the company). In general, each project's value will be estimated using a discounted cash flow (DCF) valuation, and the opportunity with the highest value, as measured by the resultant net present value (NPV) will be selected (applied to Corporate Finance by Joel Dean in 1951). This requires estimating the size and timing of all of the incremental cash flows resulting from the project. Such future cash flows are then discounted to determine their present value (see Time value of money). These present values are then summed, and this sum net of the initial investment outlay is the NPV. See Financial modeling. The NPV is greatly affected by the discount rate. Thus, identifying the proper discount rate – often termed, the project "hurdle rate" – is critical to choosing good projects and investments for the firm. The hurdle rate is the minimum acceptable return on an investment – i.e., the project appropriate discount rate. The hurdle rate should reflect the riskiness of the investment, typically measured by volatility of cash flows, and must take into account the project-relevant financing mix. See list of valuation topics. In many cases, for example R&D projects, a project may open (or close) various paths of action to the company, but this reality will not (typically) be captured in a strict NPV approach. Some analysts account for this uncertainty by adjusting the discount rate (e.g. by increasing the cost of capital) or the cash flows (using certainty equivalents, or applying (subjective) "haircuts" to the forecast numbers). Even when employed, however, these latter methods do not normally properly account for changes in risk over the project's lifecycle and hence fail to appropriately adapt the risk adjustment. Management will therefore (sometimes) employ tools which place an explicit value on these options. So, whereas in a DCF valuation the most likely or average or scenario specific cash flows are discounted, here the "flexible and staged nature" of the investment is modelled, and hence "all" potential payoffs are considered. See further under Real options valuation. The difference between the two valuations is the "value of flexibility" inherent in the project. DTA values flexibility by incorporating possible events (or states) and consequent management decisions. (For example, a company would build a factory given that demand for its product exceeded a certain level during the pilot-phase, and outsource production otherwise. In turn, given further demand, it would similarly expand the factory, and maintain it otherwise. In a DCF model, by contrast, there is no "branching" – each scenario must be modeled separately.) In the decision tree, each management decision in response to an "event" generates a "branch" or "path" which the company could follow; the probabilities of each event are determined or specified by management. Once the tree is constructed: (1) "all" possible events and their resultant paths are visible to management; (2) given this "knowledge" of the events that could follow, and assuming rational decision making, management chooses the branches (i.e. actions) corresponding to the highest value path probability weighted; (3) this path is then taken as representative of project value. See Decision theory#Choice under uncertainty. ROV is usually used when the value of a project is contingent on the value of some other asset or underlying variable. (For example, the viability of a mining project is contingent on the price of gold; if the price is too low, management will abandon the mining rights, if sufficiently high, management will develop the ore body. (2) an appropriate valuation technique is then employed – usually a variant on the Binomial options model or a bespoke simulation model, while Black Scholes type formulae are used less often; see Contingent claim valuation. (3) The "true" value of the project is then the NPV of the "most likely" scenario plus the option value. (Real options in corporate finance were first discussed by Stewart Myers in 1977; viewing corporate strategy as a series of options was originally per Timothy Luehrman, in the late 1990s.) See also Option pricing approaches under Business valuation. Further information: Sensitivity analysis, Scenario planning, and Monte Carlo methods in finance. ​Given the uncertainty inherent in project forecasting and valuation, analysts will wish to assess the sensitivity of project NPV to the various inputs (i.e. assumptions) to the DCF model. In a typical sensitivity analysis the analyst will vary one key factor while holding all other inputs constant, ceteris paribus. The sensitivity of NPV to a change in that factor is then observed, and is calculated as a "slope": ΔNPV / Δfactor. For example, the analyst will determine NPV at various growth rates in annual revenue as specified (usually at set increments, e.g. -10%, -5%, 0%, 5%....), and then determine the sensitivity using this formula. Often, several variables may be of interest, and their various combinations produce a "value-surface", (or even a "value-space",) where NPV is then a function of several variables. See also Stress testing. ​Using a related technique, analysts also run scenario based forecasts of NPV. Here, a scenario comprises a particular outcome for economy-wide, "global" factors (demand for the product, exchange rates, commodity prices, etc...) as well as for company-specific factors (unit costs, etc...). As an example, the analyst may specify various revenue growth scenarios (e.g. 0% for "Worst Case", 10% for "Likely Case" and 20% for "Best Case"), where all key inputs are adjusted so as to be consistent with the growth assumptions, and calculate the NPV for each. Note that for scenario based analysis, the various combinations of inputs must be internally consistent (see discussion at Financial modeling), whereas for the sensitivity approach these need not be so. A further advancement which "overcomes the limitations of sensitivity and scenario analyses by examining the effects of all possible combinations of variables and their realizations" is to construct stochastic or probabilistic financial models – as opposed to the traditional static and deterministic models as above. For this purpose, the most common method is to use Monte Carlo simulation to analyze the project's NPV. This method was introduced to finance by David B. Hertz in 1964, although it has only recently become common: today analysts are even able to run simulations in spreadsheet based DCF models, typically using a risk-analysis add-in, such as @Risk or Crystal Ball. Here, the cash flow components that are (heavily) impacted by uncertainty are simulated, mathematically reflecting their "random characteristics". In contrast to the scenario approach above, the simulation produces several thousand random but possible outcomes, or trials, "covering all conceivable real world contingencies in proportion to their likelihood;" see Monte Carlo Simulation versus "What If" Scenarios. The output is then a histogram of project NPV, and the average NPV of the potential investment – as well as its volatility and other sensitivities – is then observed. This histogram provides information not visible from the static DCF: for example, it allows for an estimate of the probability that a project has a net present value greater than zero (or any other value). Continuing the above example: instead of assigning three discrete values to revenue growth, and to the other relevant variables, the analyst would assign an appropriate probability distribution to each variable (commonly triangular or beta), and, where possible, specify the observed or supposed correlation between the variables. These distributions would then be "sampled" repeatedly – incorporating this correlation – so as to generate several thousand random but possible scenarios, with corresponding valuations, which are then used to generate the NPV histogram. The resultant statistics (average NPV and standard deviation of NPV) will be a more accurate mirror of the project's "randomness" than the variance observed under the scenario based approach. These are often used as estimates of the underlying "spot price" and volatility for the real option valuation as above; see Real options valuation: Valuation inputs. A more robust Monte Carlo model would include the possible occurrence of risk events (e.g., a credit crunch) that drive variations in one or more of the DCF model inputs. Dividend policy is concerned with financial policies regarding the payment of a cash dividend in the present or paying an increased dividend at a later stage. Whether to issue dividends, and what amount, is determined mainly on the basis of the company's unappropriated profit (excess cash) and influenced by the company's long-term earning power. When cash surplus exists and is not needed by the firm, then management is expected to pay out some or all of those surplus earnings in the form of cash dividends or to repurchase the company's stock through a share buyback program. If there are no NPV positive opportunities, i.e. projects where returns exceed the hurdle rate, and excess cash surplus is not needed, then – finance theory suggests – management should return some or all of the excess cash to shareholders as dividends. This is the general case, however there are exceptions. For example, shareholders of a "growth stock", expect that the company will, almost by definition, retain most of the excess cash surplus so as to fund future projects internally to help increase the value of the firm. Management must also choose the form of the dividend distribution, generally as cash dividends or via a share buyback. Various factors may be taken into consideration: where shareholders must pay tax on dividends, firms may elect to retain earnings or to perform a stock buyback, in both cases increasing the value of shares outstanding. Alternatively, some companies will pay "dividends" from stock rather than in cash; see Corporate action. Financial theory suggests that the dividend policy should be set based upon the type of company and what management determines is the best use of those dividend resources for the firm to its shareholders. As a general rule, shareholders of growth companies would prefer managers to retain earnings and pay no dividends (use excess cash to reinvest into the company's operations), whereas shareholders of value or secondary stocks would prefer the management of these companies to payout surplus earnings in the form of cash dividends when a positive return cannot be earned through the reinvestment of undistributed earnings. A share buyback program may be accepted when the value of the stock is greater than the returns to be realized from the reinvestment of undistributed profits. In all instances, the appropriate dividend policy is usually directed by that which maximizes long-term shareholder value. ​Managing the corporation's working capital position to sustain ongoing business operations is referred to as working capital management. These involve managing the relationship between a firm's short-term assets and its short-term liabilities. In general this is as follows: As above, the goal of Corporate Finance is the maximization of firm value. In the context of long term, capital budgeting, firm value is enhanced through appropriately selecting and funding NPV positive investments. These investments, in turn, have implications in terms of cash flow and cost of capital. The goal of Working Capital (i.e. short term) management is therefore to ensure that the firm is able to operate, and that it has sufficient cash flow to service long-term debt, and to satisfy both maturing short-term debt and upcoming operational expenses. In so doing, firm value is enhanced when, and if, the return on capital exceeds the cost of capital; See Economic value added (EVA). Managing short term finance and long term finance is one task of a modern CFO. Working capital is the amount of funds which are necessary to an organization to continue its ongoing business operations, until the firm is reimbursed through payments for the goods or services it has delivered to its customers. Working capital is measured through the difference between resources in cash or readily convertible into cash (Current Assets), and cash requirements (Current Liabilities). As a result, capital resource allocations relating to working capital are always current, i.e. short-term. In addition to time horizon, working capital management differs from capital budgeting in terms of discounting and profitability considerations; they are also "reversible" to some extent. (Considerations as to Risk appetite and return targets remain identical, although some constraints – such as those imposed by loan covenants – may be more relevant here). ​Risk management is the process of measuring risk and then developing and implementing strategies to manage ("hedge") that risk. Financial risk management, typically, is focused on the impact on corporate value due to adverse changes in commodity prices, interest rates, foreign exchange rates and stock prices (market risk). Risk Management will also play an important role in short term cash- and treasury management; see above. It is common for large corporations to have risk management teams; often these overlap with the internal audit function. While it is impractical for small firms to have a formal risk management function, many still apply risk management informally. See also Enterprise risk management. The discipline typically focuses on risks that can be hedged using traded financial instruments, typically derivatives. The "second generation" exotic derivatives usually trade OTC. Note that hedging-related transactions will attract their own accounting treatment: see Hedge accounting, Mark-to-market accounting, FASB 133, IAS 39. This area is related to corporate finance in two ways. Firstly, firm exposure to business and market risk is a direct result of previous capital financial investments. Secondly, both disciplines share the goal of enhancing, or preserving, firm value. There is a fundamental debate relating to "Risk Management" and shareholder value. Per the Modigliani and Miller framework, hedging is irrelevant since diversified shareholders are assumed to not care about firm-specific risks, whereas, on the other hand hedging is seen to create value in that it reduces the probability of financial distress. A further question, is the shareholder's desire to optimize risk versus taking exposure to pure risk (a risk event that only has a negative side, such as loss of life or limb). The debate links the value of risk management in a market to the cost of bankruptcy in that market. When planning personal finances, the individual would consider the suitability to his or her needs of a range of banking products (checking, savings accounts, credit cards and consumer loans) or investment private equity, (stock market, bonds, mutual funds) and insurance (life insurance, health insurance, disability insurance) products or participation and monitoring of and- or employer-sponsored retirement plans, social security benefits, and income tax management. Before a specialty in personal finance was developed, various disciplines which are closely related to it, such as family economics, and consumer economics were taught in various colleges as part of home economics for over 100 years. The earliest known research in personal finance was done in 1920 by Hazel Kyrk. Her dissertation at University of Chicago laid the foundation of consumer economics and family economics. Margaret Reid, a professor of Home Economics at the same university, is recognized as one of the pioneers in the study of consumer behavior and Household behavior. In 1947, Herbert A. Simon, a Nobel laureate, suggested that a decision maker did not always make the best financial decision because of limited educational resources and personal inclinations. In 2009, Dan Ariely suggested the 2008 financial crisis showed that human beings do not always make rational financial decisions, and the market is not necessarily self-regulating and corrective of any imbalances in the economy. Therefore, personal finance education is needed to help an individual or a family make rational financial decisions throughout their life. Before 1990, mainstream economists and business faculty paid little attention to personal finance. However, several American universities such as Brigham Young University, Iowa State University, and San Francisco State University have started to offer financial educational programs in both undergraduate and graduate programs in the last 30 years. These institutions have published several works in journals such as The Journal of Financial Counseling and Planning and the Journal of Personal Finance. Research into personal finance is based on several theories such as social exchange theory and andragogy (adult learning theory). Professional bodies such as American Association of Family and Consumer Sciences and American Council on Consumer Interests started to play an important role in the development of this field from the 1950s to 1970s. The establishment of the Association for Financial Counseling and Planning Education (AFCPE) in 1984 at Iowa State University and the Academy of Financial Services (AFS) in 1985 marked an important milestone in personal finance history. Attendances of the two societies mainly come from faculty and graduates from business and home economics colleges. AFCPE has since offered several certifications for professionals in this field such as Accredited Financial Counselor (AFC) and Certified Housing Counselors (CHC). Meanwhile, AFS cooperates with Certified Financial Planner (CFP Board). As the concerns about consumers' financial capability have increased in recent years, a variety of education programs has emerged, catering to a broad audience or to a specific group of people such as youth and women. The educational programs are frequently known as "financial literacy". However, there was no standardized curriculum for personal finance education until after the 2008 financial crisis. The United States President’s Advisory Council on Financial Capability was set up in 2008 in order to encourage financial literacy among the American people. It also stressed the importance of developing a standard in the field of financial education. Personal circumstances differ considerably, with respect to patterns of income, wealth, and consumption needs. Tax and finance laws also differ from country to country, and market conditions vary geographically and over time. This means that advice appropriate for one person might not be appropriate for another. The limits stated by laws may be different in each countries; in any case personal finance should not disregard correct behavioral principles: people should not develop attachment to the idea of money, morally reprehensible, and, when investing, should maintain the medium-long term horizon avoiding hazards in the expected return of investment. Adequate protection: or insurance, the analysis of how to protect a household from unforeseen risks. These risks can be divided into liability, property, death, disability, health and long-term care. Some of these risks may be self-insurable while most will require the purchase of an insurance contract. Determining how much insurance to get, at the most cost effective terms requires knowledge of the market for personal insurance. Business owners, professionals, athletes and entertainers require specialized insurance professionals to adequately protect themselves. Since insurance also enjoys some tax benefits, utilizing insurance investment products may be a critical piece of the overall investment planning. Tax planning: typically, the income tax is the single largest expense in a household. Managing taxes is not a question whether or not taxes will be paid, but when and how much. The government gives many incentives in the form of tax deductions and credits, which can be used to reduce the lifetime tax burden. Most modern governments use a progressive tax. Typically, as one's income grows, a higher marginal rate of tax must be paid. Understanding how to take advantage of the myriad tax breaks when planning one's personal finances can make a significant impact. Investment and accumulation goals: planning how to accumulate enough money for large purchases and life events is what most people consider to be financial planning. Major reasons to accumulate assets include, purchasing a house or car, starting a business, paying for education expenses, and saving for retirement.Achieving these goals requires projecting what they will cost, and when one needs to withdraw funds. A major risk to the household in achieving their accumulation goal is the rate of price increases over time, or inflation. Using net present value calculators, the financial planner will suggest a combination of asset earmarking and regular savings to be invested in a variety of investments. In order to overcome the rate of inflation, the investment portfolio has to get a higher rate of return, which typically will subject the portfolio to a number of risks. Managing these portfolio risks is most often accomplished using asset allocation, which seeks to diversify investment risk and opportunity. This asset allocation will prescribe a percentage allocation to be invested in stocks, bonds, cash and alternative investments. The allocation should also take into consideration the personal risk profile of every investor, since risk attitudes vary from person to person. Estate planning involves planning for the disposition of one's assets after death. Typically, there is a tax due to the state or federal government when one dies. Avoiding these taxes means that more of one's assets will be distributed to their heirs. One can leave their assets to family, friends or charitable groups. Delayed gratification: Delayed gratification, or deferred gratification is the ability to resist the temptation for an immediate reward and wait for a later reward. For creation of personal wealth this is one of the key. .
Cash Management: It is the soul of your financial planning, whether you are an employee or planning your retirement. It is a must for every financial planner to know how much he/she spends prior to his/her retirement so that he/she can save a significant amount. This analysis is a wake-up call as many of us are aware of our income but very few actually track their expenses. Revisiting Written Financial Plan Regularly: Make it a habit to monitor your financial plan regularly. An annual review of your financial planning with a professional keeps you well-positioned, and informed about the required changes, if any, in your needs or life circumstances. You should be well- prepared for all sudden curve balls that life inevitably throws in your way. Education Planning: With the growing interests on students’ loan, having a proper financial plan in place is crucial. Parents often want to save for their kids but end up taking the wrong decisions, which affect the savings adversely. We often observe that, many parents give their kids expensive gifts, or unintentionally endanger the opportunity to obtain the much-needed grant. Instead, one should make their kids prepare for the future and support them financially in their education. According to a survey done by Harris Interactive, 99% of the adults agreed that personal finance should be taught in schools. Financial authorities and the American federal government had offered free educational materials online to the public. However, according to a Bank of America poll, 42% of adults were discouraged while 28% of adults thought that personal finance is a difficult subject because of vast amount of information available online. As of 2015, 17 out of 50 states in the United States requires high school students to study personal finance before graduation. The effectiveness of financial education on general audience is controversial. For example, a study done by Bell, Gorin and Hogarth (2009) stated that those who undergo financial education were more likely to use a formal spending plan. Financially educated high school students are more likely to have a savings account with regular savings, fewer overdrafts and more likely to pay off their credit card balances. However, another study was done by Cole and Shastry (Harvard Business School, 2009) found that there were no differences in saving behaviors of people in American states with financial literacy mandate enforced and the states without a literacy mandate. One thing to consider with personal finance and net worth goals is depreciating assets. A depreciating asset is an asset that loses value over time or with use. A few examples would be the vehicle that a person owns, boats, and capitalized expenses. They add value to a person's life but unlike other assets they do not make money and should be a class of their own. In the business world, for tax and bookkeeping purposes, these are depreciated over time due to the fact that their useful life runs out. This is known as accumulated depreciation and the asset will eventually need to be replaced. The Fair Credit Reporting Act, 15 U.S.C. § 1681 (“FCRA”) is U.S. Federal Government legislation enacted to promote the accuracy, fairness, and privacy of consumer information contained in the files of consumer reporting agencies. It was intended to protect consumers from the willful and/or negligent inclusion of inaccurate information in their credit reports. To that end, the FCRA regulates the collection, dissemination, and use of consumer information, including consumer credit information. Together with the Fair Debt Collection Practices Act ("FDCPA"), the FCRA forms the foundation of consumer rights law in the United States. It was originally passed in 1970, and is enforced by the US Federal Trade Commission, the Consumer Financial Protection Bureau and private litigants. Consumer reporting agencies ("CRAs"): see below. Credit reports contain information about your bill payment history, loans, current debt, and other financial information. They show where you work and live and whether you've been sued, arrested, or filed for bankruptcy. Credit reports help lenders decide whether or not to extend you credit or approve a loan, and determine what interest rate they will charge you. It's important to check your credit report regularly to ensure that your personal information and financial accounts are being accurately reported and that no fraudulent accounts have been opened in your name. If you find errors on your credit report, take steps to have them corrected. If your request for a free credit report is denied: Contact the credit reporting agency (CRA) directly to try and resolve the issue. The CRA should inform you of the reason they denied your request and explain what to do next. Often, you will only need to provide information that was missing or incorrect on your application for a free credit report. If you are unable to resolve your dispute with the CRA, contact the Consumer Financial Protection Bureau (CFPB). A credit bureau is a collection agency that gathers account information from various creditors and provides that information to a consumer reporting agency in the United States and also to private lenders. It is not the same as a credit rating agency. Pictured below: Bank Branch Locator helps you find all national and regional bank offices in United States. Click here for a List of the Largest Banks in the United States. Banking in the United States began in the late 1790s along with the country's founding and has developed into highly influential and complex system of banking and financial services. Anchored by New York City and Wall Street, it is centered on various financial services namely private banking, asset management, and deposit security. The earliest remnants of the banking industry can be traced to 1790 when the Bank of Pennsylvania was founded to fund the American Revolutionary War. After merchants from the Thirteen Colonies needed a current as a medium of exchange, the Bank of North America was opened to facilitate more advanced financial transactions. As of 2018, the largest banks the United States were JPMorgan Chase, Bank of America, Wells Fargo, Citigroup, and Goldman Sachs. It is estimated that banking assets were equal to 56 percent of the U.S. economy. Pictured below: There are almost 60,000 credit unions in 105 countries. That’s 217 million members worldwide taking advantage of the credit union difference at over 57,000 credit unions. Credit unions are recognized as a force for positive economic and social change and have provided significant value in both developed and emerging nations. ​Credit unions in the United States serve 100 million members, comprising 43.7% of the economically active population. U.S. credit unions are not-for-profit, cooperative, tax-exempt organizations. The clients of the credit unions became partner of the financial institution and their presence focuses in certain neighborhoods because they center their services in one specific community. As of March 2016, the largest American credit union was Navy Federal Credit Union, serving U.S. Department of Defense employees, contractors, and families of service people, with over $75 billion USD in assets and over 6.1 million members. Total credit union assets in the U.S. reached $1 trillion as of March 2012. Approximately 236,056 people were directly employed by credit unions per data derived from the 2012 NCUA Credit Union Directory. ​Due to their small size and limited exposure to mortgage securitizations, credit unions have weathered the financial meltdown of 2008 reasonably well. However, two of the biggest corporate credit unions in the United States (U.S. Central Credit Union and WesCorp) with combined assets of more than $57 billion were taken over by the federal government National Credit Union Administration on March 20, 2009. Branchspot - Locate credit unions in the US, read information, and reviews. The Monetary Policy of the United States. ​The Federal Reserve System (also known as the Federal Reserve or simply the Fed) is the central banking system of the United States of America. It was created on December 23, 1913, with the enactment of the Federal Reserve Act, after a series of financial panics (particularly the panic of 1907) led to the desire for central control of the monetary system in order to alleviate financial crises. and moderating long-term interest rates. The first two objectives are sometimes referred to as the Federal Reserve's dual mandate. Its duties have expanded over the years, and currently also include supervising and regulating banks, maintaining the stability of the financial system, and providing financial services to depository institutions, the U.S. government, and foreign official institutions. The Fed conducts research into the economy and provides numerous publications, such as the Beige Book and the FRED database. The Federal Reserve System is composed of several layers. It is governed by the presidentially appointed board of governors or Federal Reserve Board (FRB). Twelve regional Federal Reserve Banks, located in cities throughout the nation, regulate and oversee privately owned commercial banks. Nationally chartered commercial banks are required to hold stock in, and can elect some of the board members of, the Federal Reserve Bank of their region. The Federal Open Market Committee (FOMC) sets monetary policy. It consists of all seven members of the board of governors and the twelve regional Federal Reserve Bank presidents, though only five bank presidents vote at a time (the president of the New York Fed and four others who rotate through one-year voting terms). There are also various advisory councils. Thus, the Federal Reserve System has both public and private components. It has a structure unique among central banks, and is also unusual in that the United States Department of the Treasury, an entity outside of the central bank, prints the currency used. The federal government sets the salaries of the board's seven governors. The federal government receives all the system's annual profits, after a statutory dividend of 6% on member banks' capital investment is paid, and an account surplus is maintained. In 2015, the Federal Reserve earned net income of $100.2 billion and transferred $97.7 billion to the U.S. Treasury. Although an instrument of the US Government, the Federal Reserve System considers itself "an independent central bank because its monetary policy decisions do not have to be approved by the President or anyone else in the executive or legislative branches of government, it does not receive funding appropriated by the Congress, and the terms of the members of the board of governors span multiple presidential and congressional terms." Monetary policy concerns the actions of a central bank or other regulatory authorities that determine the size and rate of growth of the money supply. For example, in the United States, the Federal Reserve is in charge of monetary policy, and implements it primarily by performing operations that influence short-term interest rates. The money supply has different components, generally broken down into "narrow" and "broad" money, reflecting the different degrees of liquidity ('spendability') of each different type, as broader forms of money can be converted into narrow forms of money (or may be readily accepted as money by others, such as personal checks). For example, demand deposits are technically promises to pay on demand, while savings deposits are promises to pay subject to some withdrawal restrictions, and Certificates of Deposit are promises to pay only at certain specified dates; each can be converted into money, but "narrow" forms of money can be converted more readily. The Federal Reserve directly controls only the most narrow form of money, physical cash outstanding along with the reserves of banks throughout the country (known as M0 or the monetary base); the Federal Reserve indirectly influences the supply of other types of money. Broad money includes money held in deposit balances in banks and other forms created in the financial system. Basic economics also teaches that the money supply shrinks when loans are repaid; however, the money supply will not necessarily decrease depending on the creation of new loans and other effects. Other than loans, investment activities of commercial banks and the Federal Reserve also increase and decrease the money supply. Discussion of "money" often confuses the different measures and may lead to misguided commentary on monetary policy and misunderstandings of policy discussions. Since the suspension in 1971 of convertibility of paper U.S. currency into any precious metal, the U.S. dollar is, de facto, fiat money. As it is the most used in international transactions, the U.S. dollar is the world's primary reserve currency. Several countries use it as their official currency, and in many others it is the de facto currency. Besides the United States, it is also used as the sole currency in two British Overseas Territories in the Caribbean: the British Virgin Islands and Turks and Caicos Islands. A few countries use the Federal Reserve Notes for paper money, while still minting their own coins, or also accept U.S. dollar coins (such as the Sacagawea or presidential dollar). As of June 27, 2018, there are approximately $1.67 trillion in circulation, of which $1.62 trillion is in Federal Reserve notes (the remaining $50 billion is in the form of coins). The United States Mint produces circulating coinage for the United States to conduct its trade and commerce, as well as controlling the movement of bullion. It does not produce paper money; that responsibility belongs to the Bureau of Engraving and Printing. The Mint was created in Philadelphia in 1792, and soon joined by other centers, whose coins were identified by their own mint marks. There are currently four active coin-producing mints: Philadelphia, Denver, San Francisco, and West Point. ​The Federal Deposit Insurance Corporation (FDIC) is a United States government corporation providing deposit insurance to depositors in U.S. commercial banks and savings institutions. The FDIC was created by the 1933 Banking Act, enacted during the Great Depression to restore trust in the American banking system. More than one-third of banks failed in the years before the FDIC's creation, and bank runs were common. The insurance limit was initially US$2,500 per ownership category, and this was increased several times over the years. Since the passage of the Dodd–Frank Wall Street Reform and Consumer Protection Act in 2011, the FDIC insures deposits in member banks up to US$250,000 per ownership category. The FDIC and its reserves are not funded by public funds; member banks' insurance dues are the FDIC's primary source of funding. The FDIC also has a US$100 billion line of credit with the United States Department of the Treasury. Only banks are insured by the FDIC; credit unions are insured up to the same insurance limit by the National Credit Union Administration, which is also a government agency. As of the end of 2017, the FDIC provided deposit insurance at 5,670 institutions. The FDIC also examines and supervises certain financial institutions for safety and soundness, performs certain consumer-protection functions, and manages receiverships of failed banks. All amounts that a particular depositor has in accounts in any particular ownership category at a particular bank are added together and are insured up to $250,000. For joint accounts, each co-owner is assumed (unless the account specifically states otherwise) to own the same fraction of the account as does each other co-owner (even though each co-owner may be eligible to withdraw all funds from the account). Thus if three people jointly own a $750,000 account, the entire account balance is insured because each depositor's $250,000 share of the account is insured. The owner of a revocable trust account is generally insured up to $250,000 for each unique beneficiary (subject to special rules if there are more than five of them). Thus if there is a single owner of an account that is specified as in trust for (payable on death to, etc.) three different beneficiaries, the funds in the account are insured up to $750,000. ​A savings and loan association (S&L), or thrift institution, is a financial institution that specializes in accepting savings, deposits, and making mortgage and other loans. The terms "S&L" or "thrift" are mainly used in the United States; similar institutions in the United Kingdom, Ireland and some Commonwealth countries include building societies and trustee savings banks. 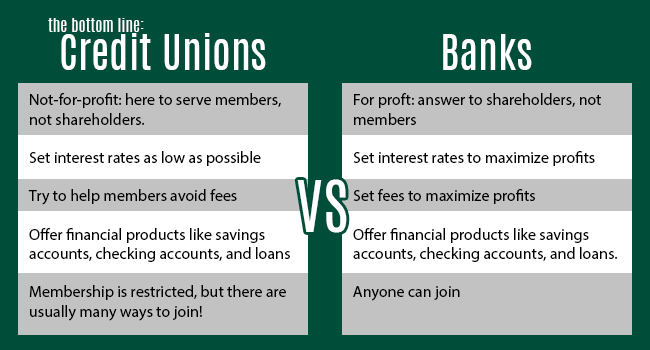 They are often mutually held (often called mutual savings banks), meaning that the depositors and borrowers are members with voting rights, and have the ability to direct the financial and managerial goals of the organization like the members of a credit union or the policyholders of a mutual insurance company. While it is possible for an S&L to be a joint-stock company, and even publicly traded; in such instances it is no longer truly a mutual association, and depositors and borrowers no longer have membership rights and managerial control. By law, thrifts can have no more than 20 percent of their lending in commercial loans — their focus on mortgage and consumer loans makes them particularly vulnerable to housing downturns such as the deep one the U.S. has experienced since 2007. A savings and loan or "thrift" is a financial institution that accepts savings deposits and makes mortgage, car and other personal loans to individual members (a cooperative venture known in the United Kingdom as a building society). ​By 1995, the RTC had closed 747 failed institutions nationwide, worth a total possible book value of between $402 and $407 billion. In 1996, the General Accounting Office estimated the total cost to be $160 billion, including $132.1 billion taken from taxpayers. The RTC was created to resolve the S&L crisis. In 1979, the Federal Reserve System of the United States raised the discount rate that it charged its member banks from 9.5% to 12% in an effort to reduce inflation. The building or savings and loans associations (S&Ls) had issued long-term loans at fixed interest rates that were lower than the interest rate at which they could borrow. In addition, the S&Ls had the liability of the deposits which paid higher interest rates than the rate at which they could borrow. When interest rates at which they could borrow increased, the S&Ls could not attract adequate capital, from deposits to savings accounts of members for instance, they became insolvent. Rather than admit to insolvency, lax regulatory oversight allowed some S&Ls to invest in highly speculative investment strategies. This had the effect of extending the period where S&Ls were likely technically insolvent. These adverse actions also substantially increased the economic losses for the S&Ls than would otherwise have been realized had their insolvency been discovered earlier. One extreme example was that of financier Charles Keating, who paid $51 million financed through Michael Milken's "junk bond" operation, for his Lincoln Savings and Loan Association which at the time had a negative net worth exceeding $100 million. Others, such as author/financial historian Kenneth J. Robinson or the account of the crisis published in 2000 by the Federal Deposit Insurance Corporation (FDIC), give multiple reasons as to why the Savings and Loan Crisis came to pass. In no particular order of significance, they identify the rising monetary inflation beginning in the late 1960s spurred by simultaneous domestic spending programs of President Lyndon B. Johnson's "Great Society" programs coupled with the military expenses of the continuing Vietnam War that continued into the late 1970s. The efforts to end rampant inflation of the late 1970s and early 1980s by raising interest rates brought on recession in the early 1980s and the beginning of the S&L crisis. 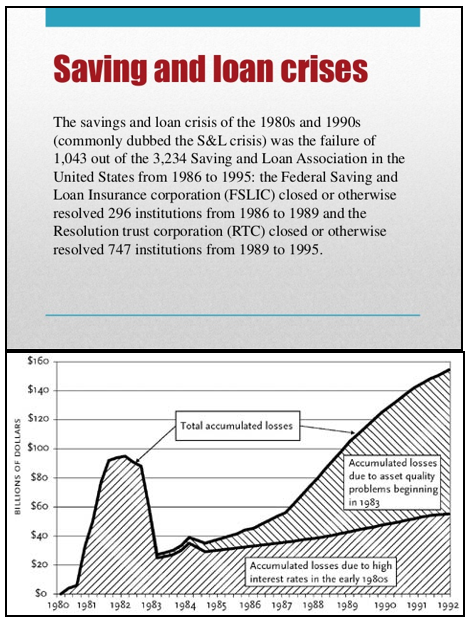 Deregulation of the S&L industry, combined with regulatory forbearance, and fraud worsened the crisis. Click here for a List of Cryptocurrencies. Cryptocurrency (or crypto currency) is a digital asset designed to work as a medium of exchange that uses strong cryptography to secure financial transactions, control the creation of additional units, and verify the transfer of assets. Cryptocurrencies are a kind of alternative currency and digital currency (of which virtual currency is a subset). Cryptocurrencies use decentralized control as opposed to centralized digital currency and central banking systems. 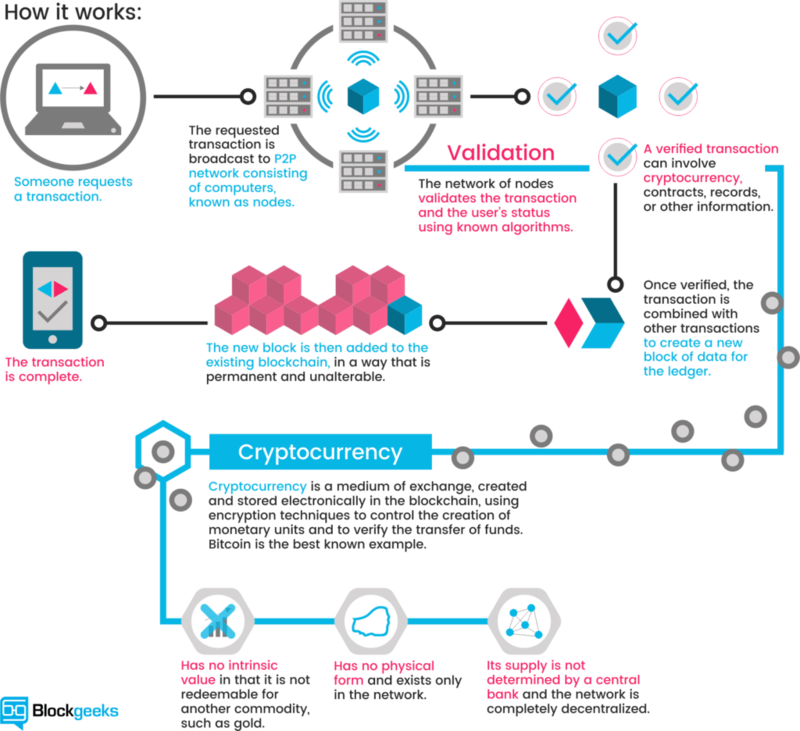 The decentralized control of each cryptocurrency works through distributed ledger technology, typically a blockchain, that serves as a public financial transaction database. Bitcoin (see next topic) first released as open-source software in 2009, is generally considered the first decentralized cryptocurrency. Since the release of Bitcoin, over 4,000 altcoins (alternative variants of Bitcoin, or other cryptocurrencies) have been created. Bitcoin (₿) is a cryptocurrency (see above), a form of electronic cash. It is a decentralized digital currency without a central bank or single administrator that can be sent from user to user on the peer-to-peer bitcoin network without the need for intermediaries. Transactions are verified by network nodes through cryptography and recorded in a public distributed ledger called a blockchain. Bitcoin was invented by an unknown person or group of people using the name Satoshi Nakamoto and released as open-source software in 2009.